The elimination of static from audio and AV media is something that Japanese cable and accessories experts Furutech know a thing or two about. 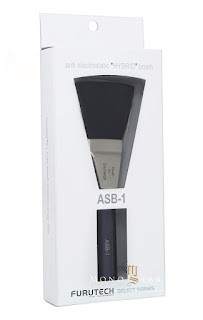 Their new ASB-1 antistatic brush is an upgrade on the earlier SK-III, and is a simple-to-use yet deceptively advanced gadget that effectively removes unwanted static charge from just about anything - from CDs and vinyl records to camera lenses. Its patented predecessor, the SK-III, was a big hit – and not only in audio and AV applications. It was also employed by the Japanese Police Force in crime scene investigations, thanks to its reliability and effectiveness in removing tiny dust particles and static interference. Here, however, we’re less interested in fingerprinting and more concerned about achieving the best possible performance from our beloved high-end media. That optimum performance, unfortunately, can be all too easily constrained by unwanted electrostatic charge. This charge inevitably builds up as we handle and use our media, and even as we apply cloths and cleaning fluids to remove dust and dirt. When our media are played in this statically charged state, sounds tend to become clouded and, in the case of vinyl, any scratches will generate additional noise due to the sparks caused by the static charge. Fortunately, there’s Furutech’s range of easy-to-use and highly effective solutions. 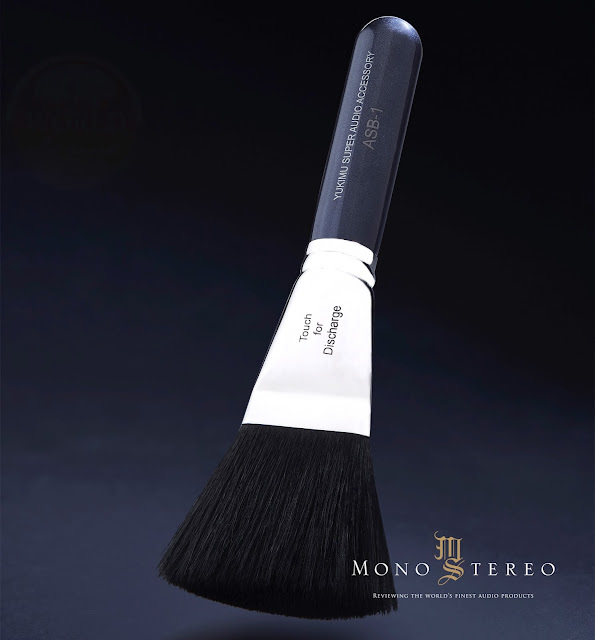 The new ASB-1 is a static eliminating brush created for both audio and audio-visual applications. Its fibres feature a unique material, COREBRID™ B, developed by Mitsubishi. The core of the fibres is formed from high-density, carbon-based, highly conductive particles. While conventional antistatic brushes attract static charge to cling to the fibres’ surface (where they can potentially be discharged back onto your media), the ASB-1 conducts static charge away through the core of the fibres for a more effective result. The static charge is trapped and forced to ground. The surface of the COREBRID fibers is a tough, abrasion-resistant outer sheath which makes them extremely durable, allowing the ASB-1 to be used time and again without wear or damage to the special conductive core. By lightly brushing the surfaces of your much-loved media, the ASB-1 delivers the most effective static elimination results seen in an antistatic brush. Light, portable and a breeze to use, it is ideal for vinyl LPs, CDs / DVDs / Blue-Ray discs; LCD and plasma screens; AV projector and camera lenses, and a range of other static-charged devices and parts. The Furutech ASB-1 antistatic brush is available now priced at £140 (including VAT).